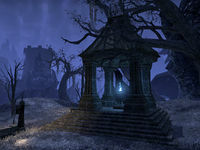 The Court of Contempt is a Daedric ruin in Coldharbour, northeast of the Hollow City. Court of Contempt Objective: Save the captive Mages Guild conjurers. 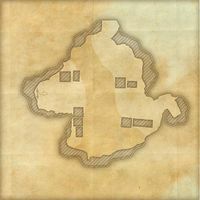 The Court of Contempt Wayshrine is located to the northwest of the ruin, on the road which leads to the Cliffs of Failure. A guild trader kiosk Cart of Contempt run by Harzdak is situated at the foot of the Wayshrine.